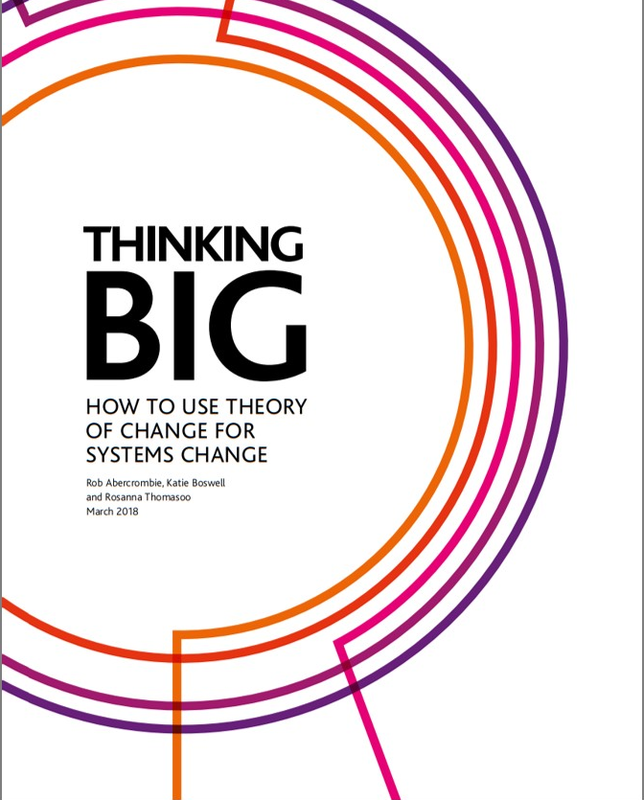 ‘Thinking big: How to use Theory of Change for Systems Change’ is a report by New Philanthropy Capital, supported by Lankelly Chase. This paper is a result of an inquiry into whether theory of change is helpful or unhelpful in supporting systems change. NPC looked at questions like: does theory of change encourage organisations to think systemically? Is it a useful planning tool for those explicitly pursuing systems change? Can it provide the kind of constructive but fundamental challenge that is needed?